Help deliver democracy… And make money doing it! Students 16+ may work as election Officers but have additional requirements. 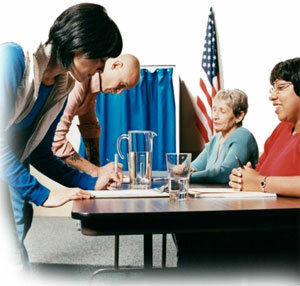 Election Day begins at 6:15 a.m. and ends at approximately 9:00 p.m.
You will also receive an additional $20 stipend for attending the required Election Officer Training class. NOTE: You must work the election in order to be paid the training stipend.